Rob is the founding Chairman of Altruvest Charitable Services.Rob has combined his education, ten years of entrepreneurial leadership and fifteen years of international corporate experience with his passion for helping people live their vision and founded STS Capital Partners in 2003. 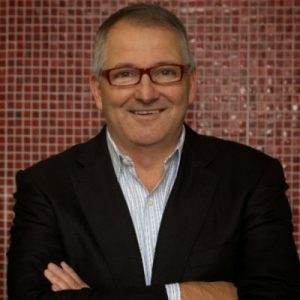 He led Maritz’s international operations as Chairman of Maritz Europa, Maritz Canada and Maritz Latin America. Rob is currently Chair of the YPO-WPO (Young President’s Organization/World President’s Organization) Global Deal Network and founding Chair of the Barbados YPO Chapter. Rob was also founding Chair of the Executive Committee of the Social Enterprise Networks and has contributed to elevating the profile of philanthropy, humanitarian causes, social enterprise, sustainable business, economic development and sustainable communities at the international board level. In addition to his work and charitable accomplishments, Rob is also an extreme adventurer. When Rob summited Everest in 2006, he became part of an elite group of people who have climbed all Seven Summits. 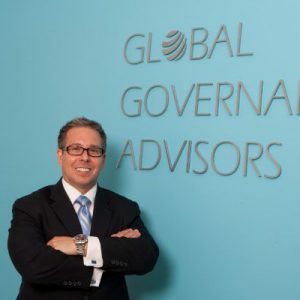 Brad Kelly is a Partner of Global Governance Advisors and has more than 20 years of experience in strategic and performance goal setting, as well as the strategic review, valuation and innovative design of executive compensation and corporate governance programs. 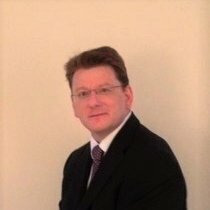 Brad is certified in the assessment of leadership behaviours and skills and organizational governance effectiveness and is a principal course developer and lecturer for the (Canadian) Accredited Executive Compensation Program and the (United States) National NCPERS Accredited Fiduciary Program. 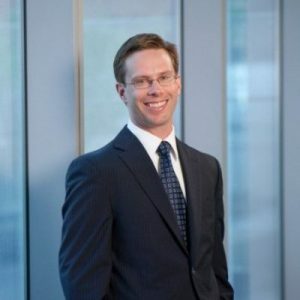 He holds a Masters in Public Administration from Carleton University.Brad is a dynamic public speaker and is frequently asked to present to Boards, professional groups, conduct media interviews, and has published numerous pieces in professional journals and magazines. Brad is a former faculty member of both the Directors College and Not-for-Profit Governance Institute, and the current Chairperson of Sesqui Inc.’s Board Directors. Brad has been on the Altruvest board of directors since 2012. Akif is a partner in PwC insurance assurance group providing assurance in Property & Casualty insurance in public and private sector. Akif has extensive experience as an external auditor in Property & Casualty insurance and has been involved in the review of both the design and operating effectiveness of internal controls and in assisting clients in complying with their policies and procedures. Akif’s current and past clients include Aviva, Chubb, AIG Canada, Cigna Life and Health, City of Toronto, Echelon Insurance, Everest Reinsurance, Fairfax Financial, First Canadian Title Group, Northbridge Financial, Saskatchewan Government Insurance and Toronto Transit Insurance Company. He is a member of the Institute of Chartered Professional Accountants of Canada and Pakistan and brings diversified experience from 19 years working in assurance and advisory services in Pakistan, United Arab Emirates and Canada. He is also the engagement leader on reciprocal insurance exchange, the Municipal Electric Association Reciprocal Insurance Exchange. 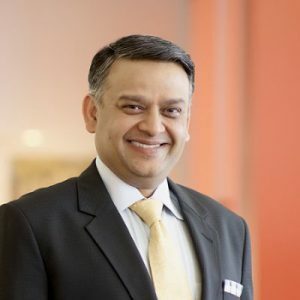 In addition to his role as Board Treasurer with Altruvest, Akif is President of the Pakistani Professional Forum, geared to help new immigrants and serves on a fundraising committee of a charitable organization. Akif joined Altruvest’s board of directors in 2015. Bill is the President and CEO of FMAV, the largest Canadian-owned audiovisual and event technology solutions provider. He is also the director of BCW Ventures a portfolio company providing advisory, interim management and angel investment services to start up and growth stage companies and he is an Advisor with MaRS Discovery Centre Social Innovation Hub.Bill has 30 plus years of experience in close-to-the-customer sales and marketing led organizations to hone strong business development and customer management skills.He has an analytic orientation and consilient thinking style providing a strong strategy and operations foundation. Previously, Bill was Chief Operating Officer with Maritz (now Bond Brand Loyalty) and a Director with Xerox. Bill holds an MBA, Information Systems from McMaster University and has been a board member with Altruvest since 2007. Vice-President and Chief Financial Officer, E-L Financial Corporation Ltd.
Scott is the Vice-President and Chief Financial Officer of E-L Financial, the Canada-based investment and insurance holding company that operates E-L Corporate and The Empire Life Insurance Company.Before E-L Financial, Scott was a Partner with PwC’s Audit and Assurance Group. He is a CPA and brings his financial and accounting expertise to the Altruvest board. Scott joined the Altruvest board of directors in 2012. 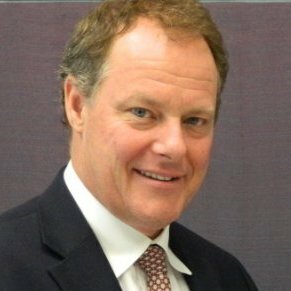 John Ferguson is Managing Director, STS Capital Partners. He has had a 35-year international career in journalism and business that has taken him to more than 60 countries on every continent. He has broad experience in communications, marketing, investor relations, business development and capital investment in a range of sectors, including banking and finance, telecommunications, e-commerce, health care, hospitality, food, infrastructure, marketing communications, and small manufacturing.John was a National Economics Editor and syndicated columnist for the Southam Newspaper Group, head of Communications and Public Affairs with Canada Post and Senior Vice President at CIBC. He has also served as a personal advisor to the Aga Khan. 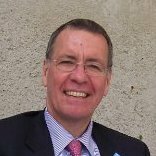 He has been involved in the voluntary sector as a donor and volunteer since 1989 and he has been on the Altruvest board since 1999. A founding Partner of Lighthouse NINE Group, Cindy McNichol heads the firm’s Culture & Engagement practice. She also supports clients in the areas of Change Management, Strategic Alignment , Leadership Development ,Talent Management and Coaching. Cindy develops strategies to connect and align people, process and plans to improve performance and deliver business results.Cindy’s career has included various senior corporate leadership roles in Human Resources, Project Management, Customer Service and Operations. She has worked across Canada and in the US, UK, Australia and Mexico. A few of the corporations and clients Cindy has worked with include PowerCor Australia, TSN / Discovery Channel, Maritz Canada, ADT Security Services, PowerStream, Mother Parkers, Prism Eye Institute, Yum! Canada and Rodan Energy Solutions. Professional accreditation includes Board Leader certification through Altruvest Charitable Services, Certified Management Coach through International Institute of Business Coaches, Certified Training Professional through the Canadian Society for Training and Development and is certified in numerous profiling assessment tools. She has been a frequent guest lecturer for the Niagara University MBA program. When she finds spare time Cindy enjoys travel, golf and quality time with extended family and friends. She is an investment banker and philanthropist. She is an inventor, has won awards for both marketing and investment banking, and has received numerous accolades for outstanding leadership. As a result of BoardMatch, Gayle served on Heritage Milton and became a founding member of Doors Open Milton.She then took time away from board service to purse a Master of Business Administration. In 2013, Gayle earned an MBA from Athabasca University, where her studies in Sustainability and Entrepreneurship ignited her passion to foster sustainable social impact improvements in developing countries. Subsequently, she founded The Abundant World Foundation, a private foundation that provides grants to Canadian charities aligned with the foundation’s mission. As a member of the Altruvest Board, Gayle brings her strategic thinking and global perspective to help sustain and grow the services of Altruvest in support of sustainable performance improvements in the charitable sector. 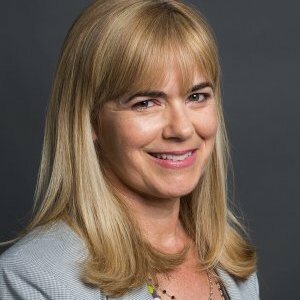 Gayle is an alumnus of BoardMatch (2006) and joined the Altruvest Board in 2016. Walter Wagnleithner has extensive experience in corporate governance and transactional matters impacting iconic dual-listed multinational companies (Nortel, Magna Entertainment Corp. and Tim Hortons Inc.) during times of transformative change. In addition, he has overseen legal and governance matters at mid-sized and smaller entities, including a start-up company he co-founded. Having been engaged in the renewable energy sector since March 2011, Walter is currently Vice President and Corporate Counsel at Sky Renewable Energy Ltd., the parent company of Sky Solar (Canada) Ltd. Walter has been engaged in the non-profit sector since summer 2009, with his most notable experience being a six-year tenure with Adventure Place, as a director, and nominating committee member. Because of his varied experience, collaborative approach, aptitude for creatively approaching commercial matters, and strong interest in non-profit service, Walter brings a unique skill-set to the board of Altruvest Charitable Services.Called to the Bar in Ontario in February 1999, Walter possesses BA, LL.B., and MBA degrees. He was engaged in private practice for nearly five years in the areas of securities and corporate/commercial law before moving in-house in 2003. Walter joined the Altruvest board in 2016. Lisa is responsible for Wawanesa Insurance’s customer experience infrastructure including: strategy, segmentation, analytics, experience design, voice-of-customer feedback, loyalty measurement and culture change. 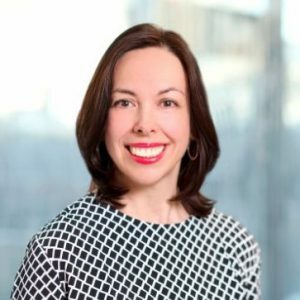 Her previous roles include: Senior Director, consulting with PwC, director of customer service and strategy groups with BMO and Associate Principal with SECOR Consulting. Lisa built an impressive career as a strategy consultant with a focus on business planning and execution, customer experience and growth option development. She advised companies in multiple sectors including telecommunications, financial service, banking, insurance, retail and healthcare. She holds an MBA from the Ivey School of Business, University of Western Ontario and BA from Harvard University. Lisa brings valuable insight and experience to Altruvest from her previous not-for-profit board positions. She was the Board Chair of Christie Ossington Neighbourhood Centre, Director of JVS Toronto and the Board Chair of the Queen West Art Crawl. She joined the Altruvest board of directors in 2015.